Set at the turn of the 20th century, this is one of those classic novels to enjoy. 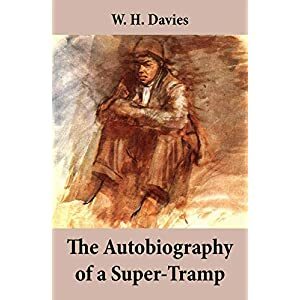 The story of a man who travels and lives day to day riding trains, living in prisons for free and being astute enough to fund himself even overseas and back again with a little help from his friends. Knowledge gets passed on and so lives the wandering tramps. You can’t help smile at some of the antics they get up to- boarding trains and escaping inspectors. This book was recommended to me and I am so glad that i discovered it as it is a glimpse of life from the past and from an unexpected point of view. At times I felt I was reading Dickens although this is set much later- the narrative comes to life so much and even then things had not moved on too much for the poor of the land. A fascinating, captivating , very enjoyable read. A bride is found dead in a barn at a fancy dress party to celebrate a 25th wedding anniversary. DI Hillary Greene is on the trail with her team and a new superintendent to get used to. What is his real mission as to why he has been transferred and why was the bride strangled? 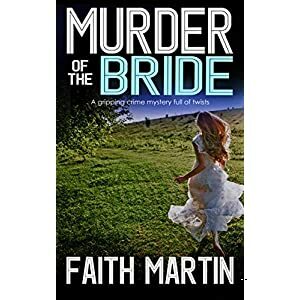 This is the third Faith Martin/DI Greene book I have read and I am enjoying them more and more each time. There is an underthread or two along the way which keeps the flow between books and a little more interest to the main storyline. Hillary’s dead ex allegedly had a stash of money from his illegal tradings and her trying to find this and the background is one of the threads running through. Characters are very likable (mostly!) with the odd rogue (Frank) along the way to keep things real. 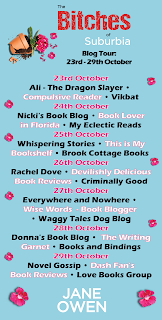 A little humour and a little romance help make this a very enjoyable read. A group of brave women determined to tell their story and stand together against abuse of one type or another. Not an easy read but possibly an eye opener for some. Things that go on behind closed doors between people you think you know and can trust but whom have their own rules. Of then and now, of fear and bravery. Of being weak and then becoming strong enough to not only tell the world but to realise yourself that things are not as they should be which is the hardest step for many. 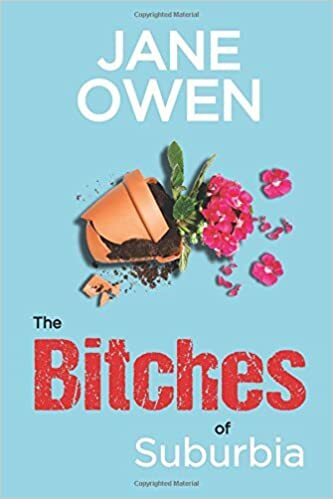 Jennifer has been wonderful to put this book together and I really hope that it opens some eyes and prevents others going through what these women have endured. There is hope and help, and reading this maybe others will realise early enough to ask for it. My own story in is here so I knew what to expect with others but still it made me shudder. A different enlightening read. 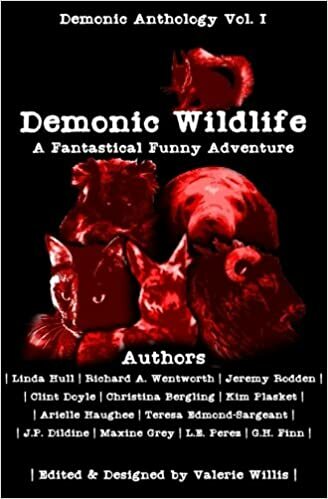 An anthology based on animals starting with the humourous through to the darker side of things. We start with a spider that listens and of course the spider dance (once it is explained you will understand). Some of the stories are just plain weird, some very cleverly thought out. Anti-christ is a Manatee was actually quite sweet and Baa baa black sheep, I had to laugh- it has to be worth writing a story to get in the line “I love Ewe”. The best by a long chalk was Koala by Maxine Grey (5*) . For me this stood out a mile. 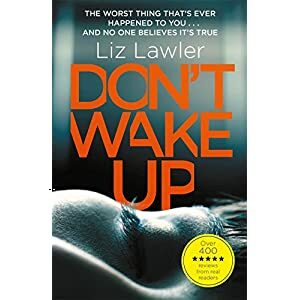 The quality of writing far surpassed the others so that you “got into” the storyline quickly which is required in a short tale and a very clever, enjoyable plot albeit a little macabre, but it did make me smile. I am not into horror (at all) however I enjoyed this snippet of things. 4* overall. An easy read that can be picked up and put down as time allows. 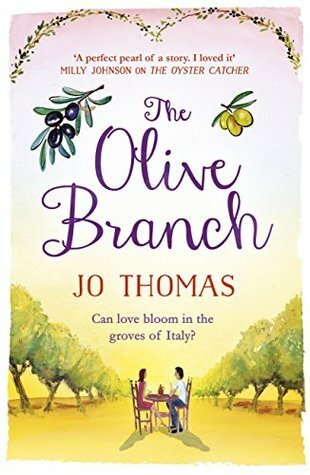 Something that little bit different.I voluntarily chose to read this ARC and all opinions in this review are my own and completely unbiased. Suburbia- or a rather exclusive version of it nestled on a hilltop overlooking the sea. Keeping up with the Jones’ is mandatory for Hillary who left her checkout job when she won several thousand on the lottery and bought her house there. She has no comprehension of debt, mortgages or in many ways real life. When she is invited to parties she arrives in what she thinks are the “latest” clothes. To everyone else they look like fancy dress. She wants her house and her clothes to look like those around her and of course things just don’t work out as she anticipated. Mutton dressed as lamb and a house that is akin to a building site. This is a wonderful light hearted read and at times you feel sorry for Hillary however she is her own worst enemy and won’t be guided- she just longs to fit in. 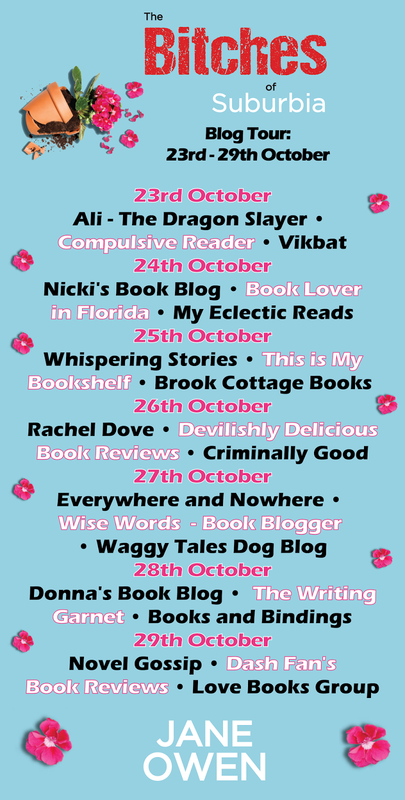 Characters that come to life that you just can’t help smile at and a plot that weaves it merry way just when you thought all was settled. A well written easy, enjoyable read to brighten your day . Nothing much ever happened on Horseshoe Lane - why should it? It was, after all, just a normal suburban backwater with the usual cross section of growing families, ageing pensioners, the occasional singleton and a brace of curtain twitchers. The arrival of celebrity couple, Heavenly and Travis, however, changes all that. This glamorous pair bring about a summer of competitive party throwing and ambitious home improvement projects that will have disastrous and completely unforeseen consequences. Jane's first novel, Camden Girls, was published by Penguin twenty years ago and quickly became an international cult bestseller published in many languages including Japanese, Spanish,German, Hebrew, Italian and Dutch. She'd already spent many years working in the film business working alongside stars such as Christophe Lambert, Andi McDowell, Daryl Hannah and James Remar before switching to the music business and working for bands such as The Who, Robert Plant, ZZTop and many more. Eventually, even that got boring and that's when she wrote Camden Girls. 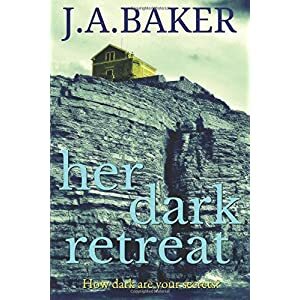 After publication, life became interrupted by an unfortunate traffic accident and Jane moved out of London to Sussex and slowly returned to writing. Her novels don't fit into any specific category and, frustrated by endless rejections along the lines of 'You write beautifully but we don't know how to sell this book' she started self publishing. Rave reviews gave her the confidence to keep going and believe in what she was writing. She's still in Sussex, sharing her life with her musician partner, three horses and a dog and divides her day between writing and riding. Availabe for preorder- published 30th October. Families- love them or hate them- but we all have them one way or another. A daughter who is stick thin and troubled, a son who is being bullied but making his way in the world and Mum who strangely keeps being sick and getting hot flushes. Menopause she thinks, but sick all day? Dad left years ago and is now living in a hovel having been dumped by the “step-monster”. A Grandad that everyone loves and a son who thinks he knows who Grandad “really is”. Of life and love, of strengths and weaknesses,tragedy and justice, heartbreaks and triumphs. 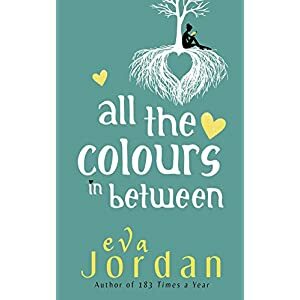 Eva has done it again and written a book that not only I can’t put down but makes me smile and sympathise with the characters and the antics they get up to. 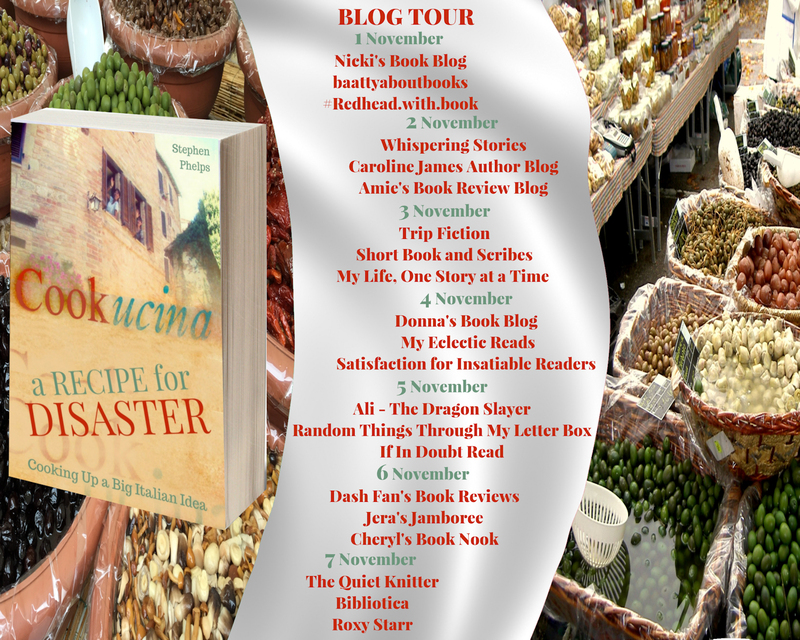 A brilliantly written tale of family life with its ups and downs , smiles and tears. I very much look forward to the next book from this truly talented author. An uplifting read. This is an interesting read. Alec and Peggy are like any other couple- or are the?. He appears to have secrets and she has scars from her past. Having been withdrawn Peggy begins to come out of her shell a little and Alec sees the Peggy that he first fell in love with. Up to fifty per cent of the way into this book I didn’t really know where it was going but it kept me interested. Chapters are about, and headed, several of the main characters. 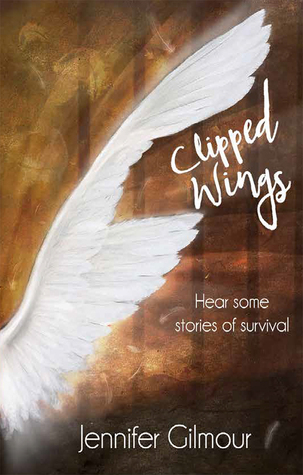 We start with a chilling prologue that leads us to believe something either has happened or is about to. A well written book with interesting characters and a twist at the end. A very different way of telling a story and an interesting premise. I voluntarily chose to read this ARC and all opinions in this review are my own and completely unbiased. Dominique has a charmed life. A successful husband, two daughters, a large house and nothing to worry about. So think those who see her. Behind closed doors she has had something happen in the past (which we don’t know about) and the nightmares are starting again. Her friend Fiona is the only one who knows the full story. Meanwhile her husband Benjamin is having his own problems both with work and his mistress and their eldest daughter Ruby is living a nightmare at school and making plans to put it right. 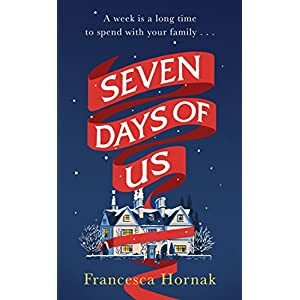 We know from the prologue that something has happened and as the plot grows the perpetrator could be anyone of a number of characters all with the motive to go through with it.This is a very well written book that draws you in, with an invisible thread of a sleeping volcano to whet the interest. The chapters after a while intersperse with the “now” just giving that little bit more to tantalise. 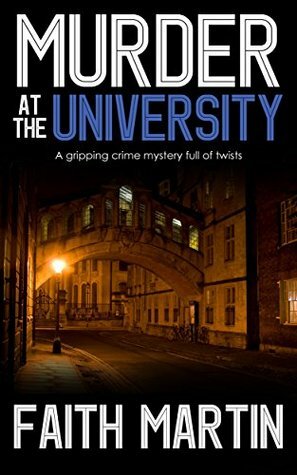 A gripping book with short snappy chapters that keep the story alive. 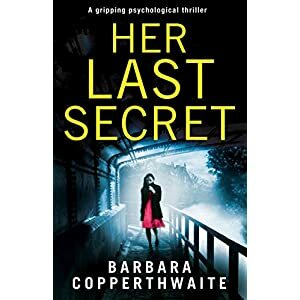 This is my first Barbara Copperthwaite book- and it most certainly won’t be my last. Stunning.I voluntarily chose to read this ARC and all opinions in this review are my own and completely unbiased. A girl is found dead in her University lodgings. This is Oxford and she is a scholar- which means she has a scholarship so why does she have the trappings of a different life? 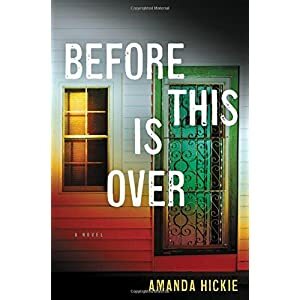 DI Hillary Greene is still being plagued by the past of her now dead-almost-ex- husband and would love to start afresh. She loves her work and might just risk his pension being taken off her in order to keep her hands where she likes them- in the thick of things rather than pen pushing up the ranks. This is the second DI Greene book I have read and I really like Hillary (this is the second in the series and would probably stand alone). She comes across as a well rounded character that if you met in real life would love to have as a friend or neighbour. An excellent plot a well told story and an enjoyable read. A man is picked up from a railway station by a policeman and is later found dead. A short time later her son goes missing. Are the two connected and why? DI Matt Brindle has been off since an incident that left him badly injured both physically and mentally but being at the funeral of his colleague and hearing the news report he feels he has something to offer and that there is a link. One of those books that draws you in from the start. 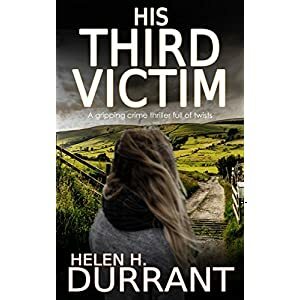 Helen always gives a good plot and likeable true to life characters in her novels. A camaraderie building in a new team and not having an obvious perpetrator, the thread keeps you wound in until the end. That little bit more than just the main plot about the characters and their personal lives. Not too much, just enough to give you their background and make them believable and well rounded. I really enjoyed this, an easy entertaining read. Alexia has her own interior decorating company and is helping revamp the old village pub, The Angel as a community cafe in the hope that it will boost her career. Ben has been in the village for 6 months but kept very much to himself. After the whole village helps clear out the pub to start on the project many key items, including the roof tiles suddenly go missing. Alexia has plans to move out of the village but this rests on the success of The Angel and fate has other things in store. This is a heartwarming book. One that makes you realise that there is good in human nature and that everyone pulling together can make a massive difference. Life has its ups and downs and when it does you find out who your real friends are. 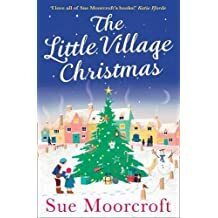 Not the saccharine-y type chick-lit read but a good solid story that really could be read at any time of the year(The Christmas bit comes at the end). A very enjoyable read , perhaps with a hot chocolate besides a nice warm fire.I voluntarily chose to read this ARC and all opinions in this review are my own and completely unbiased. Roxanne works for “Your style”- A high end fashion magazine as their fashion director in London. Her background is Yorkshire. 3 hours and a million miles away from the life she now leads and enjoys. Her bubble is burst when changes are a foot at the magazine and Roxanne decides to get away from it all, especially as her relationship with Sean is rather wobbly to say the least. 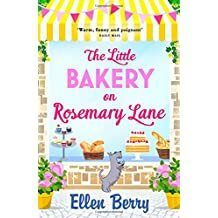 This is a well written book that took me awhile to get into, probably as from the title I was expecting the bakery to feature early on. Once I accepted that is wasn't, I enjoyed the lighthearted story and Roxanne’s character. A feelgood read for any time of year. I voluntarily chose to read this ARC and all opinions in this review are my own and completely unbiased. Hannah worries. Alot. The Manba virus is spreading and she wants to do everything she can to protect her family. Her husband thinks she is being over cautious until her plans come to fruition in that she has stocks of food and is keeping their youngest child Oscar away from school for fear of him catching it from one of the other children. The other son , Zac, is away on a school trip and although away from any cases, Hannah is still worried. This is a well written book and gets you thinking “what if”. Few people think about how much everyday things have been handled by others- change for example and this brings to life how a germ could be spread and how the public react- generally in a bad way but always those who are willing to help others. the good , the bad and the downright ugly rear their heads in this rather unusual tale of survival. Of being selfish and selflessness when called for, of love and family and community. A highly enjoyable read. A mixture of couples all with issues. Some in the past, some in the present and some that are going to cause issues in the future. David has forgotten something that he is responsible for at work. Forgotten because he has used the funds for it for something else. Antonia has new name but can’t forget her past especially as her demented elderly mother keeps reminding her of her past identity. Stones and ripples-how one thing can affect another and other people. 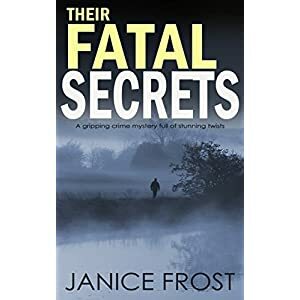 A throw away comment that cuts to the quick, a compliment that you remember for years afterwards.To me not a psychological thriller as there wasn’t a key mystery as such- just lots of people with their own secrets not all of which were unfurled. A very well written book with characters that came alive. An interesting premise, a complicated web, a different read.I voluntarily chose to read this ARC and all opinions in this review are my own and completely unbiased. Wow! Wow! and Wow! Alex finds herself on an operating table strapped down with someone standing over her making threats. She is then found in the car park of the hospital where she works as a doctor. Various other incidents happen around her and due to her drinking she is suspected of making things up and not being responsible. Is she going mad? Was the attack a nightmare or is someone stalking and framing her? 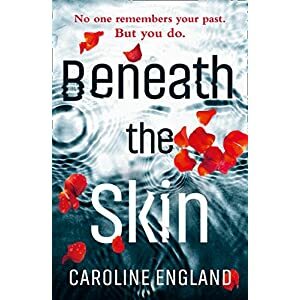 This is one chilling gripping read that I couldn’t put down. You feel for Alex and the traumas surrounding her. Her broken life that a few weeks ago she thought was perfect. Her friends and colleagues wanting to believe her but finding it so unlikely and without proof that she is doubted by everyone she thought she knew. I won’t spoil anything but to say this is one of my top reads of the year- and out of 300 ish books that isn’t said lightly. One truly stunning read.I voluntarily chose to read this ARC and all opinions in this review are my own and completely unbiased. Hillary lives on a boat. Her ex- husband is being investigated for illegal smuggling- despite being dead. 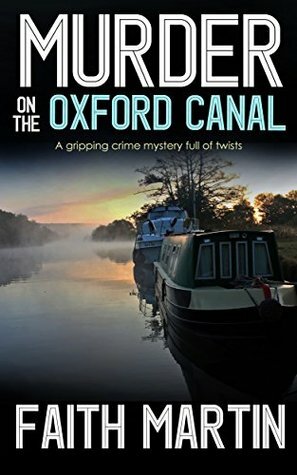 When a body is discovered in a lock she is sent as the SIO. When the murdered person has links to drug smuggling , Vice are called in and things take a turn for the worse- especially as internal investigations think that Hillary has stashed her dead ex’s haul of money somewhere safe for her own use. This is an enjoyable read and Hillary is a likeable character. A good plot and sound characters make this an easy read where you don’t have to think too much, just enough to enjoy. A main character that adds a little background as have some others, giving a well rounded likeable read.